Lights, Camera, Action! | eat. write. smile. 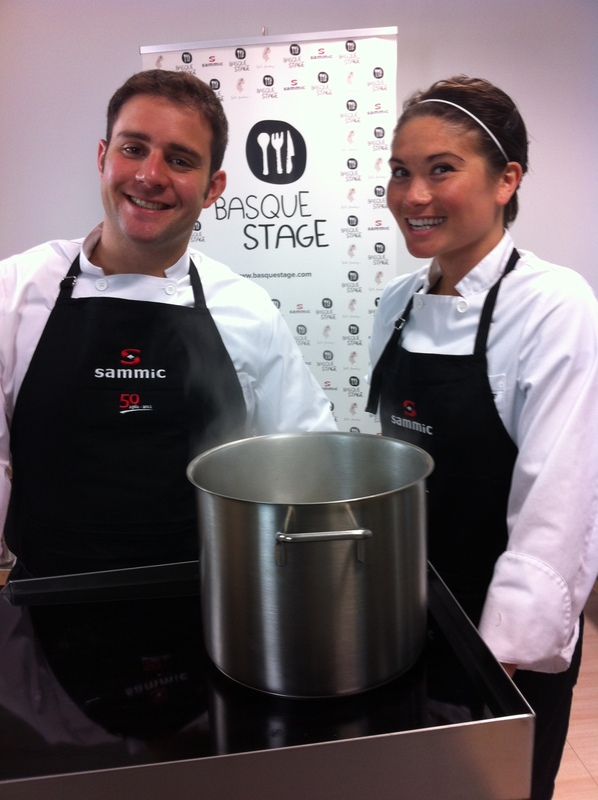 One of the cool things about being a BasqueStage Scholar is the opportunity to film videos and recipe demonstrations for Sammic, the kitchenware manufacturer that sponsors our six months in Spain. 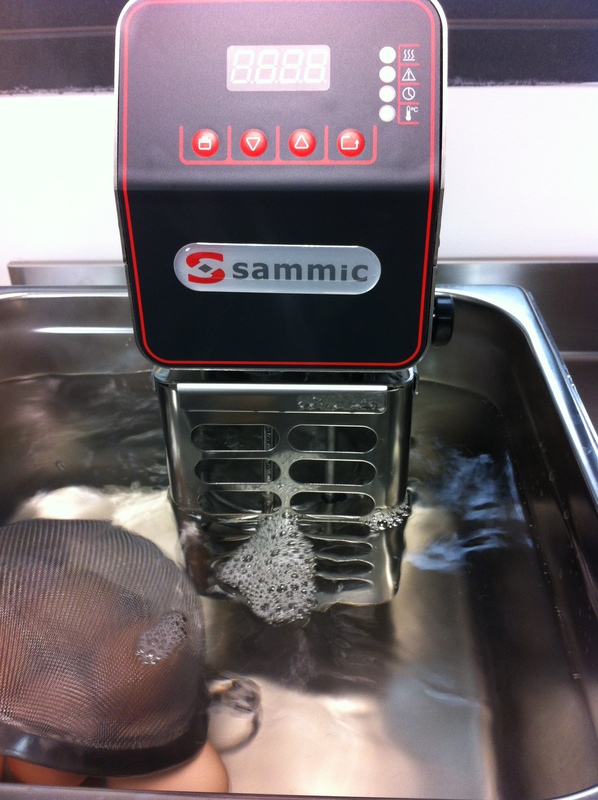 Sammic makes everything from hand blenders to salamanders, vacuum-pack machines to industrial size dishwashers. I recently filmed a video to accompany their Vegetable Prep machine, which is a combination food processor and mixer. You can chop nuts, mince garlic, or knead bread dough in this machine. Or, using a blade and different racks, it can small dice an entire sack of potatoes faster than you can say hash browns. 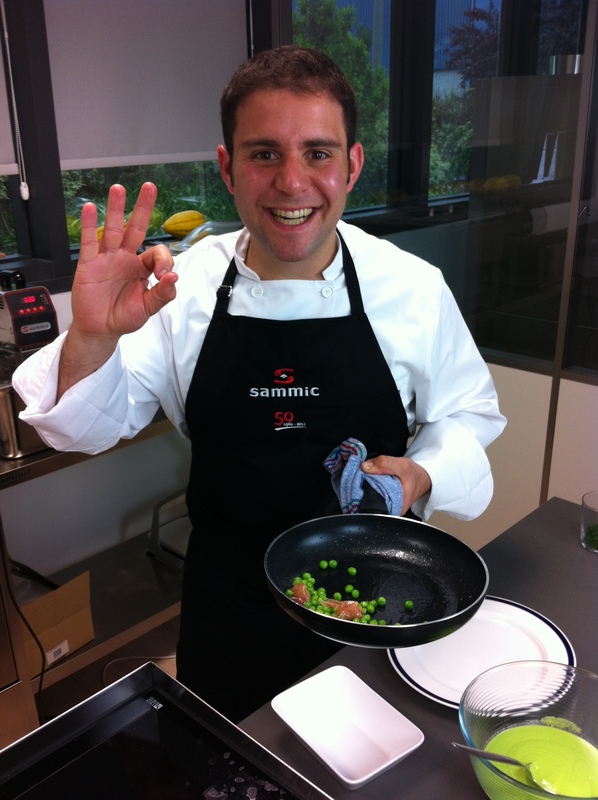 Last week, Elisha and I were back at the Sammic headquarters again, this time to film two videos: a short informational guide on how to use a vacuum-pack machine to extend the shelf-life of dry goods; and a recipe demonstration of Guisantes con Huevo Escalfado y Jamón, (peas with poached egg and cured ham), a locally-inspired celebration of spring. 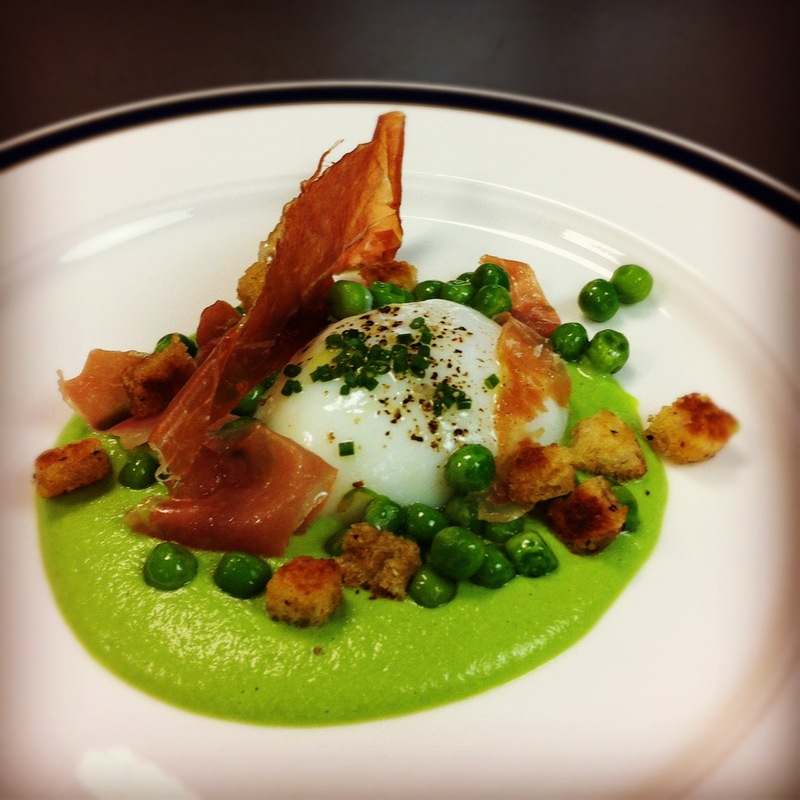 Pea puree with a soft-cooked egg, croutons and Jamon Serrano. The marketing team asked us to demonstrate any recipe we’d like. 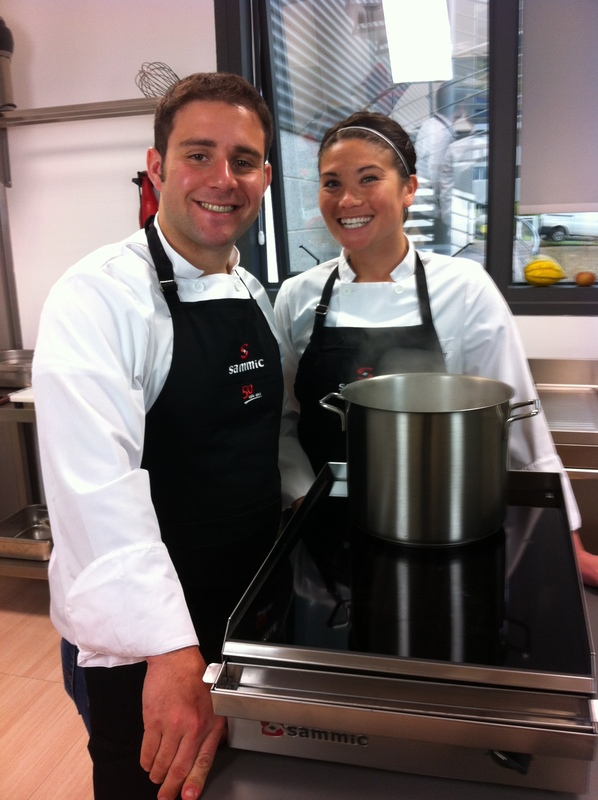 Given free range in the Sammic equipment showroom (think JB Prince, just in the hills of País Vasco), Elisha chose to make a pureé with Sammic’s high-power hand blender and a low-temperature cooked egg with their immersion circulator. 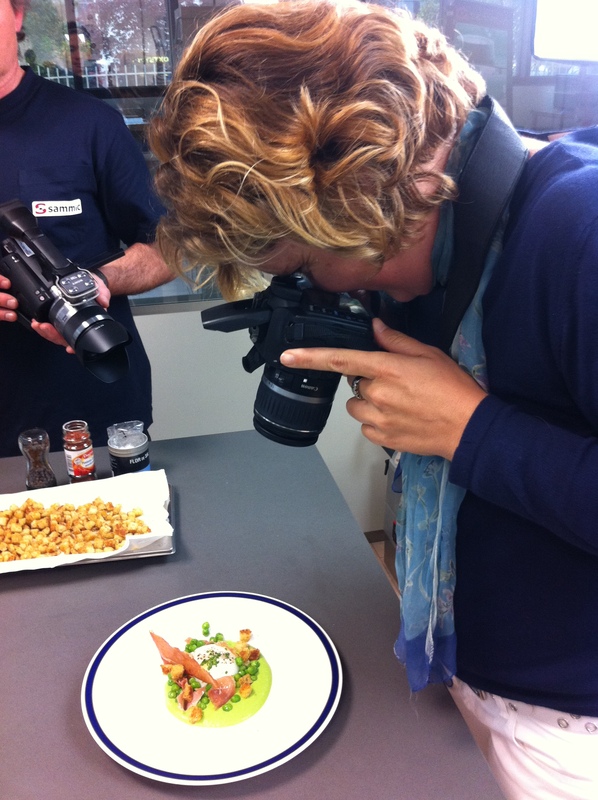 While neither Elisha nor I are made-for-TV cooks, the opportunity to film at Sammic is a chance to try our skills in front of the camera, and to learn about the equipment side of our industry. Thanks Agustín and Amaia for a fun day in the studio! 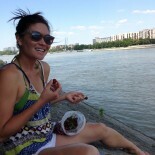 This entry was posted on May 28, 2012 by Ruthie in BasqueStage and tagged BasqueStage, Elisha Ben Haim, Sammic.